Gosford North Days for Girls Visit. Last Saturday Sandra and i visited the Days for Girls North Gosford’s sewing and packing day at Kariong. Lucy Hopwood Brown from our Rotary club was also there to collect 350 DFG Hygiene kits and 100 sewing kits for her project in the DRC – “Hands Up Congo “. Lucy was absolutely thrilled to receive these beautoifully prepared kits, and she will be taking these to the remote town of Mdanbaka in DRC Congo in October. We have for some time been discussing the possibility of a Sewaid teacher team visiting the Congo to help Lucy set up a sewing workshop. This is starting to progress a little more now that Ebola has been contained in the area, however there is still quite of number of hurdles to jump before this trip can advertised. Alacoque Welsh, one of our Sewaid managers, and Gay Grillmeier from the Gosford North DFG group. will be going back to BA, Fiji again in September to give some further training to one of our sewing groups there. 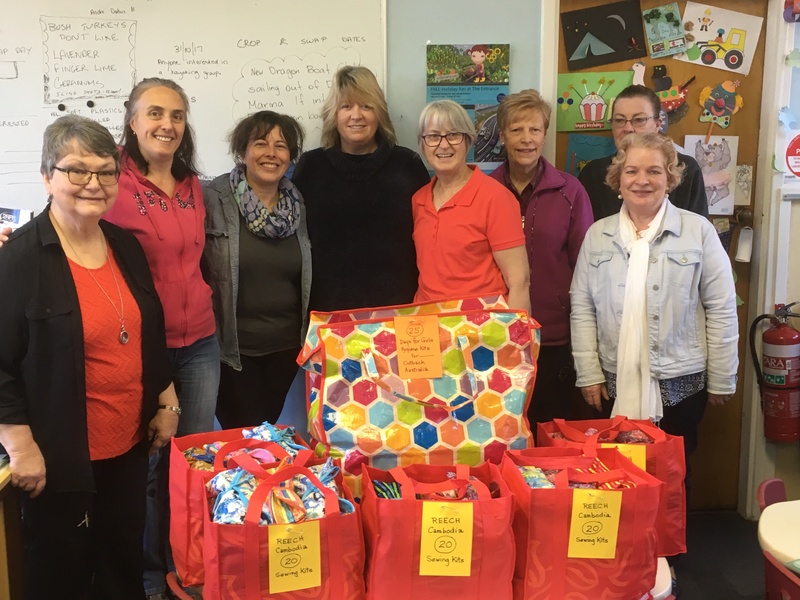 Deidra from DFG Gosford North also advised that their Mooney Mooney satellite group, also donated 100 sewing kits and 25 Hygiene kits to Jenny Knight of REECH Cambodia. Sewgroup had previously helped Jenny with sewing machines and equipment for her Cambodia project. 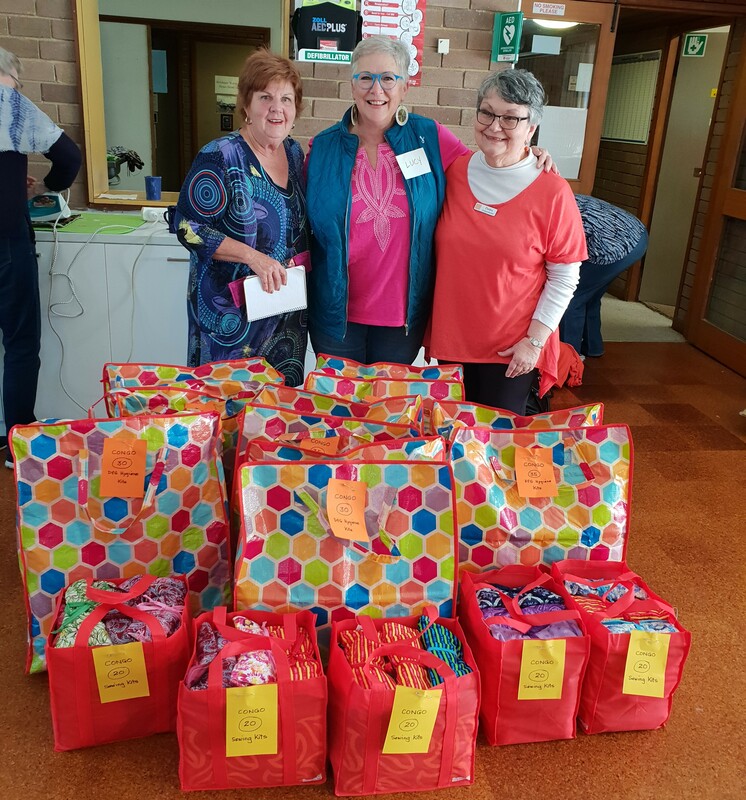 Photos: Lucy Hopwood Brown from “Hands Up Congo ” centre, Days for Girls group leaders, Dee and Deidra, left and right, with the colourful bags containing 350 DFG hygiene kits and 100 sewing kits. Jenny Knight (red) and the Mooney Mooney DFG salellite group. Header photo : One of the DFG Gosford North ladies busy overlocking the liners on one of their Triumph high speed over-lockers .